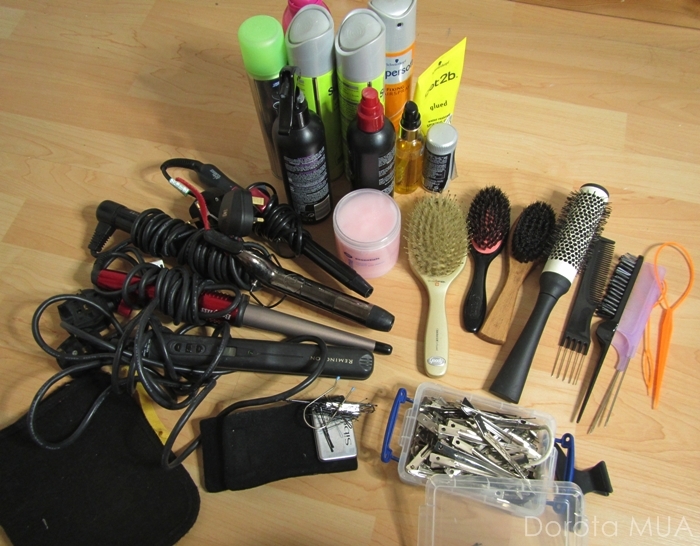 Few weeks ago I purchased new organizer – it’s quickly become my best holder, organizer and carry bag in one for my hair kit! 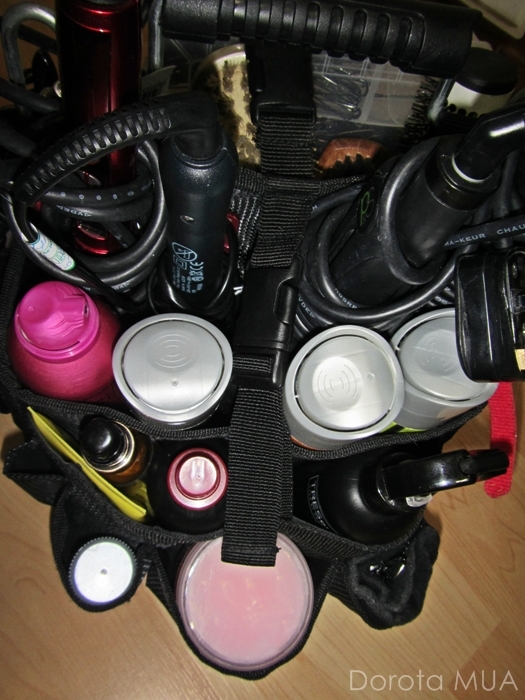 The Catty – Ultimate Organizer is designed for your Hair, Nail, & Beauty Supplies. There is new seller! 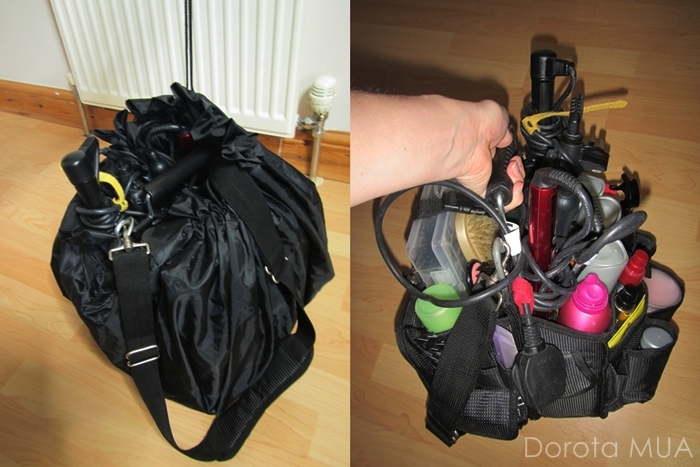 HAIR TOOLS sells it on ebay for approx £15 – £24 by seller scizzorznstuff. Also Hairscissors.co.uk sells it, but for £26. 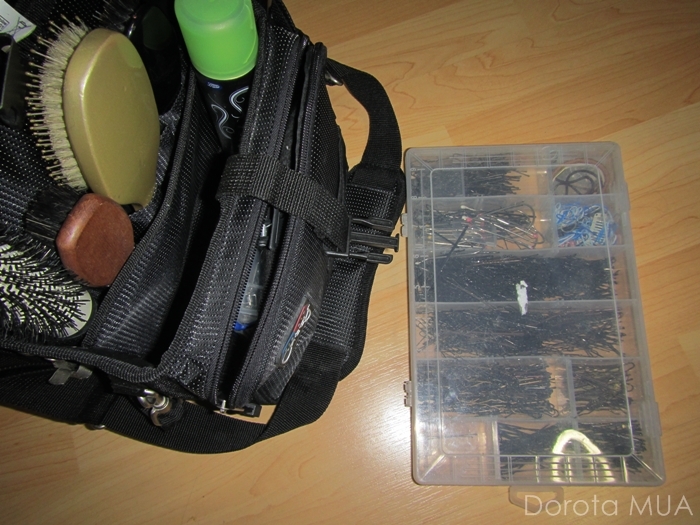 Holds my day-to-day kit and many more! 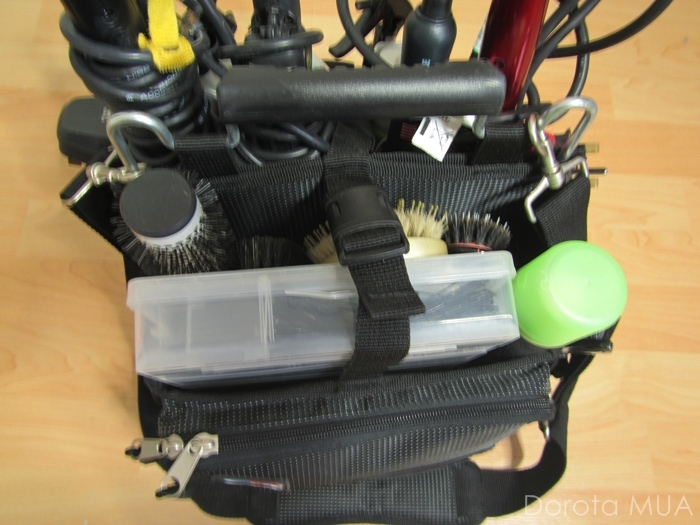 All tools and products + plastic organizer full of hairpins fits into this organizer!!! Individual compartments designed so that everything has its own place and stands upright to eliminate mess and spills. Nicely made dividers, slots – lot’s of practical futures. 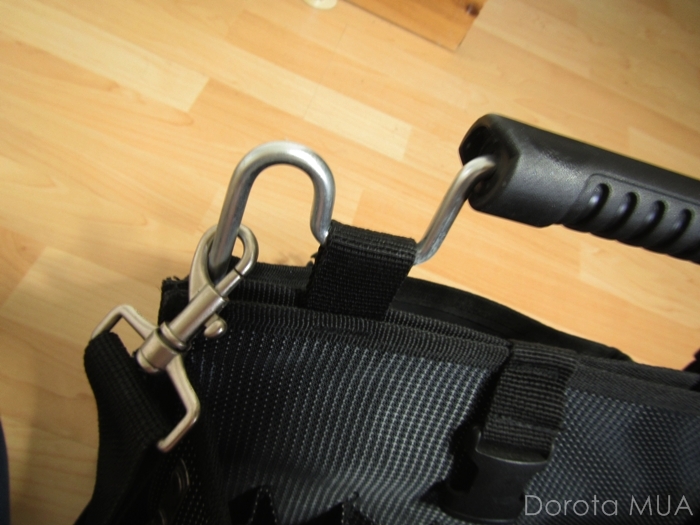 Both sides have fastening clips – so if it’s full packed, it holds well and secures both sides. Full of smart pockets, holders, key ring hooks, business card holder – are absolutely fantastic! 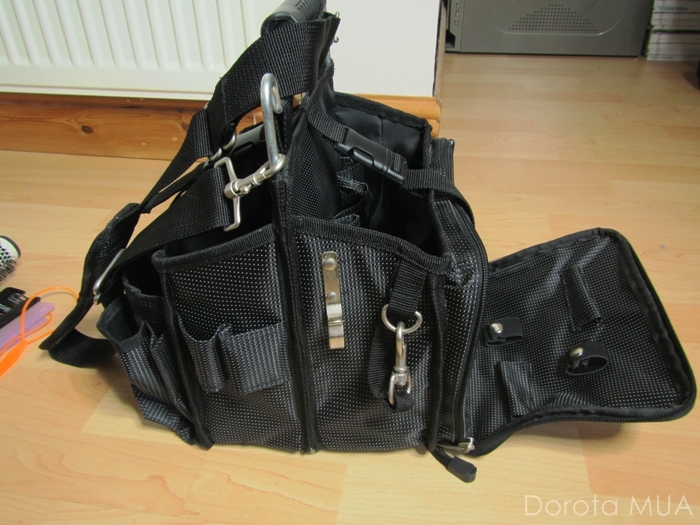 Detachable, adjustable shoulder strap. Solid metal frame trough middle part of holder – this may work as support arm for your hot tools . I just discovered another pockets! 🙂 Firstly thought the bottom pouch is for pens – but seems be designed to hold long hair clips 🙂 Plus the 3 slots over it have hidden pocket! – so whoever you put into – it’s not going to fall off! 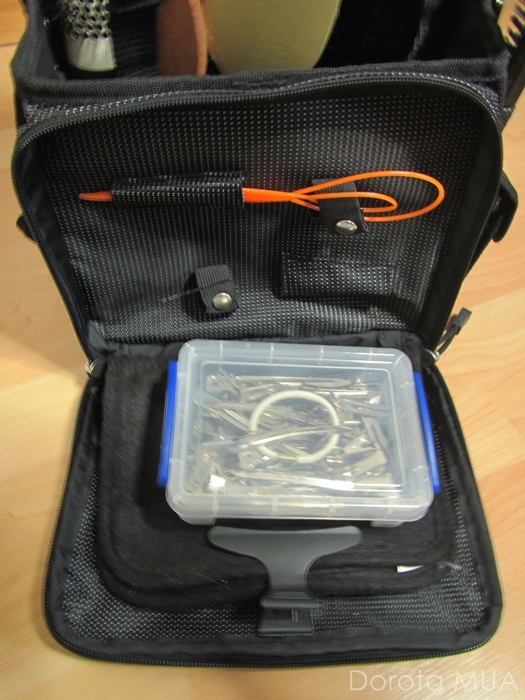 This is how fully packed organizer looks a like…. I managed to fit into all my kit also a huge box of hairpins! 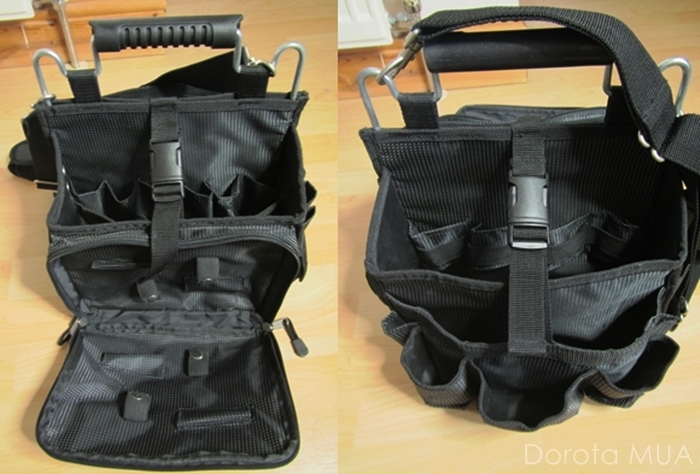 All organizer is well designed – pockets, slots are just in perfect size! 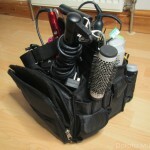 It holds 1/2 of my hot tools and all of my hair tools and products (brushes, hair sprays etc) . 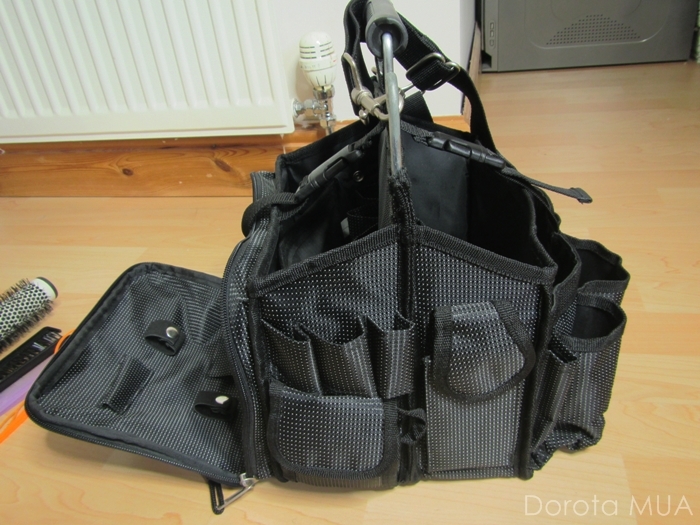 Size and ergonomic of bag is absolutely fantastic, all is easy to find, grab, and if you will work in small working space – this is just best choice!